Even a dependable brand like Onan will need routine Onan marine generator service to ensure it continues performing optimally. Any Cummins Onan marine generator owner needs an experienced and authorized marine generator technician to ensure the longevity of their marine generator. Fortunately, you can depend on Diesel Services of America to provide you with the highest quality marine generator maintenance and repair, including a comprehensive inventory of brand name parts. Over the last three and a half decades, our experienced team has been dedicated to customer satisfaction. The quality of our work speaks for itself through a reduction of harmful emissions and increased engine performance, which can save you money. Onan marine generators are known for their reliability and are used by vessels all over the world. Diesel Services of America has been providing customers with high-quality Onan marine generator service since 1981. We attribute our success to our commitment to valuing our customers’ needs and providing them with unmatched marine diesel engine services and customer satisfaction. Our services are provided by a knowledgeable team of friendly experts who are able to explain what your Onan marine generator needs to continue running efficiently. One of the most frustrating and sometimes unnerving experience is a broken or failing marine diesel generator. Neglecting to repair minor issues in a marine generator can cause the need for major repairs or even replacing the generator. Furthermore, neglecting routine maintenance and service could lead to an emergency at sea. Diesel Services of America can provide you with expert Onan marine generator service in a timely manner and keeping the marine generator running smoothly. Through routine service and maintenance, you can save on fuel and major repair costs down the line. The right marine generator service and repair must be performed by a trained technician. We can provide the very best service available whether that involves a simple repair to a complete reinstallation of a marine generator or engine. Every job is done with expert dedication and we can save you money. Diesel Engine Services of America also provides expert diesel engine overhauls which can save you from having to buy a new engine. We also have the equipment and facility to perform comprehensive disassembly and cleaning of a diesel engine’s parts and components. If our trained technicians find an outdated or damaged component they will replace it to prevent more expensive repairs in the future. 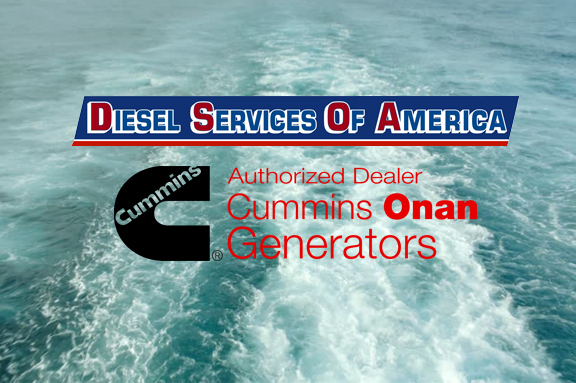 Contact Diesel Services of America for the highest quality Onan marine generator service you can find. No matter what you diesel generator or engine may need you can depend on us to keep it functioning at peak performance. Call us today at 954-781-1464 for any questions you may have.